Sandy soils can vary considerably in pH, humus content, fertility and structure but are usually infertile, well drained and prone to drought. EM7 contains wild flowers and grasses that are deep rooting and tolerant of drought. Endeavour to select ground that is not highly fertile and does not have a problem with perennial weeds. Good preparation is essential to success so aim to control weeds and produce a good quality seed bed before sowing. Sandy soils are usually infertile, well drained and easy to work. Seed is best sown in the autumn or spring but can be sown at other times of the year if there is sufficient warmth and moisture. Sandy soils are prone to drought so are often best seeded in the autumn or winter to give sown species a chance to establish and root before the dry summer months arrive. The seed must be surface sown and can be applied by machine or broadcast by hand. To get an even distribution and avoid running out divide the seed into two or more parts and sow in overlapping sections. Do not incorporate or cover the seed, but firm in with a roll, or by treading, to give good soil/seed contact. In the second and subsequent years EM7 sowings can be managed in a number of ways which, in association with soil fertility, will determine the character of the grassland. Poor unimproved sandy soils do not produce much growth and in this situation will only require one or two cuts at the end of the season, or light grazing, to maintain diversity and interest. 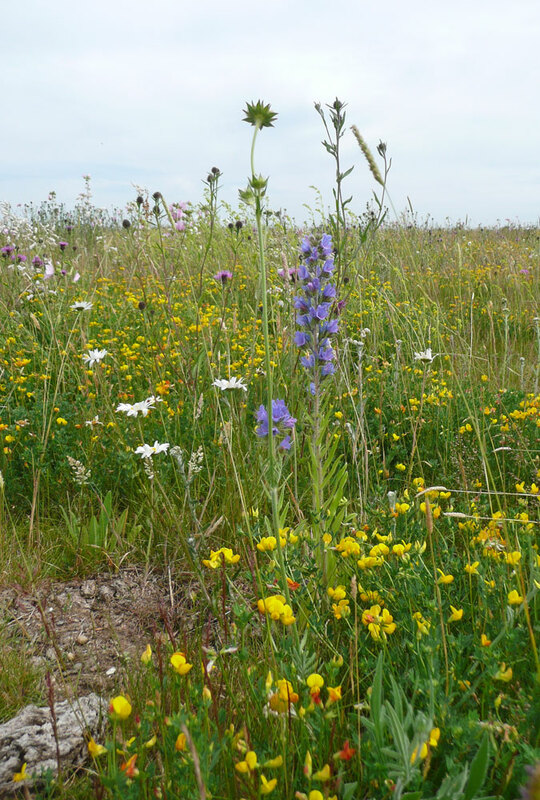 On richer soils that are not prone to drought best results are usually obtained by traditional meadow management based around a main summer hay cut in combination with autumn and possibly spring mowing or grazing. 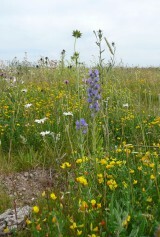 EM7 is a complete mix composed of 20% native wild flowers and 80% slow growing grasses (by weight). The flower and grass components are also available to order separately as EM7F for the flower component and EG7 for the grass component.